The Omitiomire prospect was identified during regional geochemical surveys carried out in the 1970s. Intermittent drilling by several companies during the following decades showed widespread but low grade copper hosted by Mesoproterozoic metamorphic rocks. Craton, a subsidiary of IBML, acquired the project in 2007. The presentation charts the successes and frustrations of exploration and evaluation, including: raising funds for exploration; establishing effective exploration protocols in a system that is largely covered by Kalahari sand; expanding the resource; responding to the global financial crisis; social & environmental impact assessment; creating a viable project; and lodging a mining licence application. Along the way, the team has made considerable advances in understanding an unusual deposit that contains over a million tonnes of copper metal. 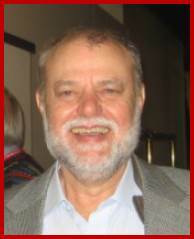 Ken Maiden is IBML’s Executive Director – Technical and Chief Geologist. Karl Hartmann is IBML’s Exploration Manager.